Please enter the two names. The first name listed will be placed above the heart and the second name will be placed below the heart. Names must be less than 12 characters each. For no personalization, simply type "no personalization". 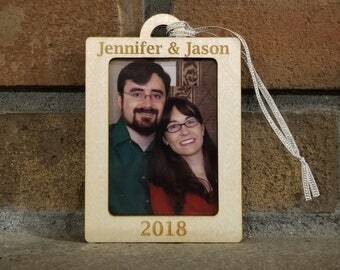 A Valentine's Day gift for her! This little wooden box is just the right size for storing rings, earrings, a necklace, or other small special items! The box and its sliding lid are made from pine with a decorative heart inlay on the lid. The exterior measurements are approximately 2 1/2 in X 2 1/2 in X 1 in. An optional personalized inlay for INSIDE the box is available. The optional inlay consists of two names and a red heart on a white background. If choosing this option, be sure to list both names in the personalization box. The first name listed will be placed above the heart and the second name listed will be placed below the heart. Please see photo for example image. The exterior is finished with a clear coat. The interior is unfinished wood. 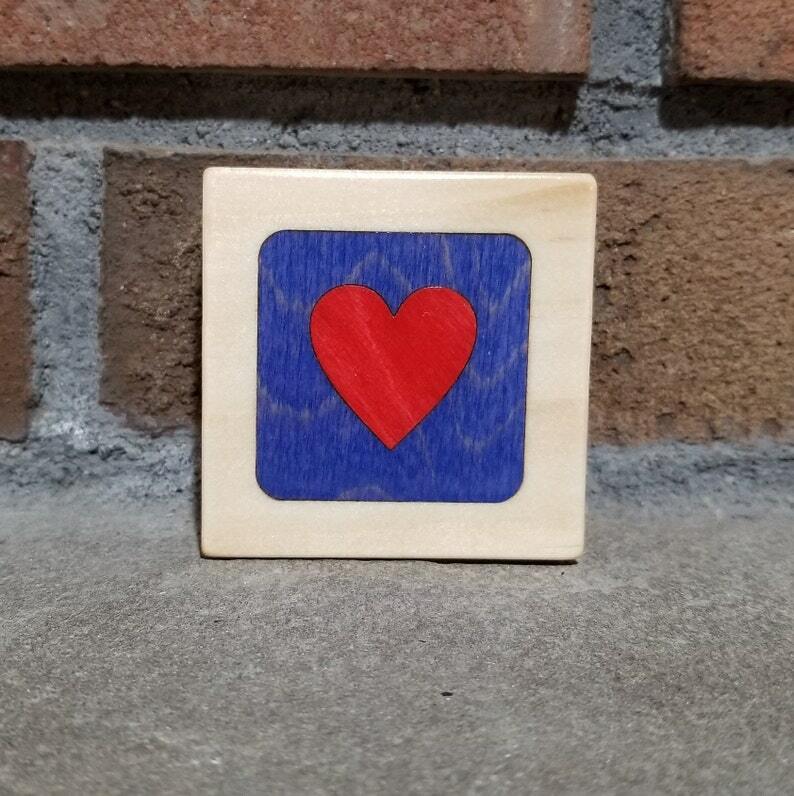 We currently have one little box with a red heart and dark blue background for sale and ready to ship. Check our other listings for more color options. Shipping is by USPS First Class Mail in the US only. Shipping for this item is $3.50. 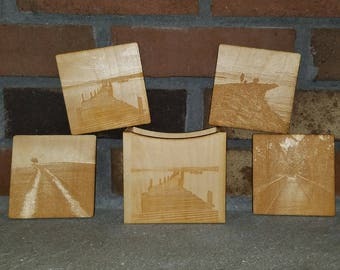 Shipping for each additional little box is $1. For international orders, please make a custom request. Shipping will be determined on an individual basis. To clean your little box, wipe with water only or water with a mild detergent. Some chemical cleaners may damage the finish. Never submerge your little box in water as it may warp.